Artist/Curator Monica d. Church seeks the sublime in the seemingly ordinary. In her current studio practice she focusses on collage and photography. She has traveled to over 25 countries to photograph. The transnational works focus on graffiti, women, and everyday events that cross cultural lines. 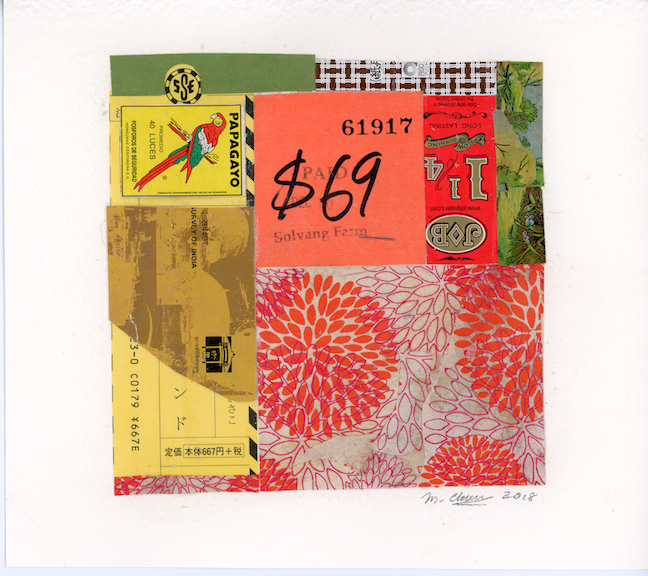 While traveling abroad or in New York’s Hudson Valley she actively collects paper- from street trash to Joss papers, lottery tickets to handmade papers from which she makes collage. Church has an M.F.A. from the University of Kentucky. She is the Associate Director of the James W. Palmer Gallery, Advisor to PHOCUS and the Baldeck Photographic Center at Vassar College in Poughkeepsie, New York. Her home and studio is in New York’s Hudson Valley. Be invited to our shows & events.